After a two-month delay, the Federal Energy Regulatory Commission has approved Venture Global's $5 billion Calcasieu Pass liquefied natural gas export facility in western Louisiana, and cleared the way for construction, Kallanish Energy reported. The approval came as the federal agency reached an agreement on a new approach for consideration of direct greenhouse gas emissions from LNG facilities. "Since I joined the commission, it's been a priority of mine to expedite and improve our LNG terminal application process," said FERC Chairman Neil Chatterjee, in a statement. "I'm extremely pleased that we are issuing the certification order for the Calcasieu Pass LNG export terminal," he said. "But even more so, I really appreciate the efforts of my colleagues to work together to come to an agreement on this facility. This is significant, as I anticipate we'll be able to use the framework developed in this order to evaluate other LNG certificates that the commission is considering," Chatterjee said. He said FERC's multipronged approach to improve its process over the last year had put the agency in position to move forward efficiently with 12 other pending LNG projects. He said FERC had worked with other federal agencies under memoranda of understanding to reduce red tape and interagency friction and increased the number of engineers involved in reviewing LNG projects. Chatterjee called the change "a matter of truly strategic significance." The compromise put forward to break the deadlock was to calculate the direct annual greenhouse gas emissions the Venture Global project would emit as a percentage of total U.S. emissions, according to reports. He praised the efforts by FERC staff and support from commissioners Bernard McNamee and Cheryl LaFleur. There were reports last December that FERC was split along partisan lines and the Calcasieu Pass project was stymied by a 2-2 deadlock. It had been dropped from FERC's December agenda. It is the first new U.S. LNG project approved in the last two years by FERC. Virginia-based Venture Global LNG said it plans to begin construction immediately on the Louisiana facility that would produce 10 million tons per year of LNG in Cameron Parish, along with the associated TransCameron Pipeline. "With our FERC order in hand and our project contracted with binding 20-year sale and purchase agreements with Shell, BP, Edison S.p.A., Galp, Repsol and PGNiG, we plan to immediately commence construction activities in Louisiana in close coordination with FERC and other agencies," co-CEOs Bob Pender and Mike Sabel said in a joint statement. 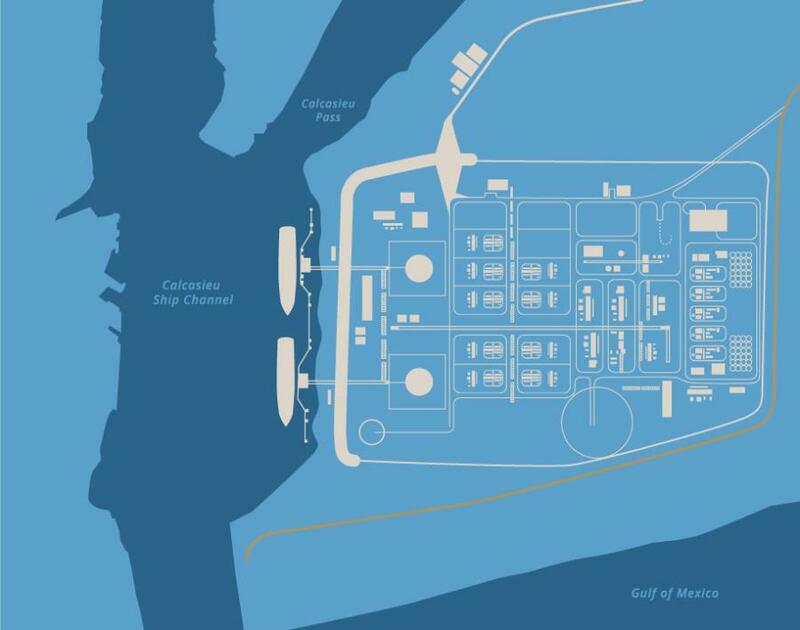 The facility is being developed on a 1,000-acre site at the Gulf of Mexico and the Calcasieu Ship Channel. It will employ a process solution from GE Oil & Gas LLC, part of Baker Hughes, a GE company, that utilizes midscale, modular, factory-fabricated liquefaction trains. Venture Global has executed a turnkey EPC (engineering, procurement and construction) contract with Kiewit to design, engineer, construct, commission, test and guarantee the Calcasieu Pass facility. The company also is developing the Plaquemines LNG export facility to produce 20 million tons per year and the associated Gator Express Pipeline in Plaquemines Parish, La., about 30 mi. south of New Orleans. That project is under federal review.